Congress has been busy spending money and encroaching on our freedoms. Chet Edwards (D-TX17) voted YES to admonish Joe Wilson (R-SC). Joe Wilson’s fundraising has grown exponentially since his emotional outburst of truthfulness. The House is set to vote on extending unemployment benefits for states with 8.5% unemployment and a continuing resolution to fund government operations after the current fiscal year ends on September 30. None of the 12 annual appropriations bills have been completed. The Senate approved a $122 billion bill funding transportation and housing programs for the next fiscal year. 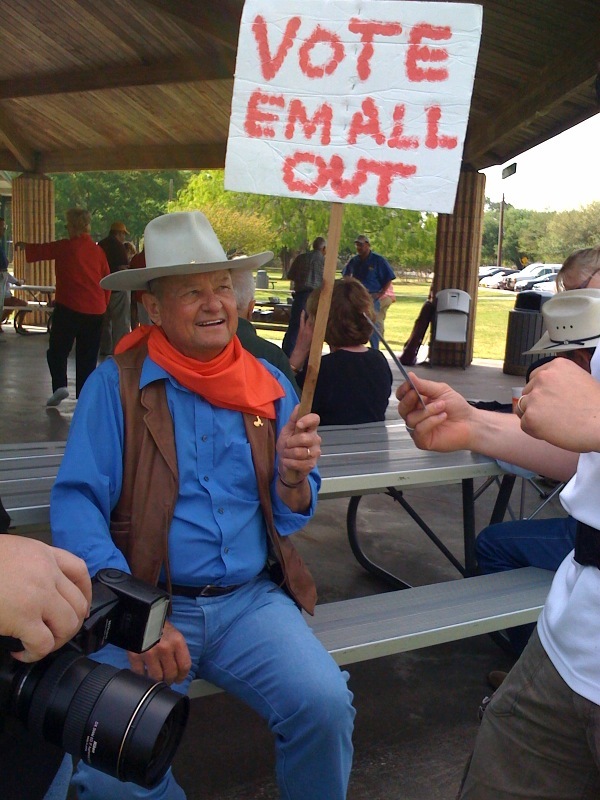 This image from the 2009 Bryan/College Station Tea Party at Tanglewood Park. Thank you Dr. Gene Howard!